Simple and supportive, yet soft and pure — our Green Cotton Mattresses were made for healthy sleep, inside and out. Made with endless fluffy layers of our special blend of Green Cotton, our natural mattresses are free from flame-retardants, dyes, perfumes, and chemical processes. From babies to bad backs, everybody loves the simplicity of this classic design. From Cot to California King — and in custom sizes, too — these natural mattresses offer an eco-friendly and hypoallergenic alternative in almost every size. The Green Cotton Mattress is one without springs, and as such won’t transfer motion between sleepers. We recommend putting it on a box spring set or platform bed, or even using it as a floor bed. Soft yet supportive, our Green Cotton mattress is unlike any you’ve ever slept on – and is the all natural sustainable mattress of your dreams. 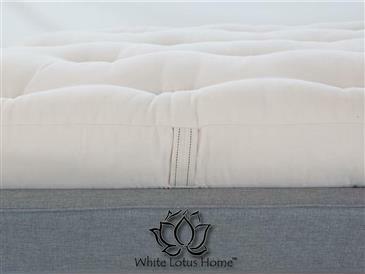 My whole family sleeps on White Lotus green cotton mattresses. It started when my daughter was a baby and I wanted a chemical free mattress for her. She's11 now 😊 and we have 4 of these mattresses. They are supportive and comfortable and we had a great experience ordering. It's simple to get your doctor to write a prescription that says you need a chemical free mattress. When we needed a custom size for a sleepeer sofa, they were great to work with! 1) Is the mattress material treated with borate? 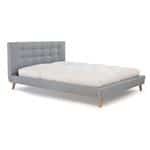 2) what is the general time to ship out the mattress / when can we expect to receive it? 3) Do you offer discounts if we order multiple mattresses? 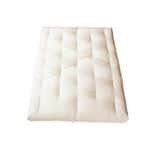 1) This mattress contain zero fire retardants and is not treated with anything. In order to purchase this mattress, since it does not contain a fire retardant, we would require a prescription from a doctor stating that you require a chemical free mattress. 2) We handcraft every mattress to order, so our current lead time is about 3-5 weeks. This time frame can get shortened with a $100 rush fee to about 2 weeks. 3) Yes, we can offer you a discount for an order of multiple mattresses. Do email your request to sales@whitelotushome.com or call us at 732-828-2111.